Home / Weight Loss Tips / How to Get Rid of my little Belly? How to Get Rid of my little Belly? Say goodbye to your little rebel belly under the guidance of Jean- Michel Cohen. 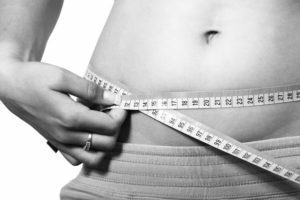 If, despite a slim figure , you keep a ” tummy ” that does not seem to flatten over slimming diets is that fat is probably not solely responsible . A large majority of women are prone to bloating and problems of transit effect, causing a little swollen belly . To minimize these drawbacks and regain a flat stomach , here are some recommendations to combine for optimal results ! To fully enjoy the benefits of fiber , it is important to stay hydrated so that the fibers can swell up by absorbing up to 20 times their weight in water.It is this great ability to retain water during their long journey in the stomach and intestine that increases stool bulk and accelerate intestinal transit.> Drink throughout the day : Limit the amount of water during meals (one glass ) taking the time to eat slowly (at least 20 min) and chew . Dietary fibers are non-digestible carbohydrates that come from different food sources: itscereals, vegetables and legumes, fruits and oilseeds. Swelling in water, they increase the volumeof the bolus and facilitate intestinal transit. Be careful though because the fibers can be irritating to the intestines if they are eaten raw or too much. > Limit yourself to a meal by crudity and more fruits and vegetables peeled and seeded. Move is excellent general health and especially for the belly. Indeed sport causes action“massage” on the belly. Thus, it accelerates the transit and reduces bloating. Walking isrecommended here because it is a sport for everyone. Not require special equipment, you can totally walk when you get home, going to the cinema, etc..
> So, finite transport, walk! Numerous scientific studies have shown that certain bacteria (already present in our body) played a role in our metabolism and in particular during digestion. In case of intestinal dysfunction, it is interesting that consume daily called probiotics. > Once a day, eat a yogurt with bifidus, Lactobacillus casei, etc.., To strengthen your intestinal flora. One of the best ways to sculpt your body and erase the parts you still complexed sports,especially bodybuilding. So you have no choice, you must put the abs! Do some exercises every day to strengthen your abdominal muscles. 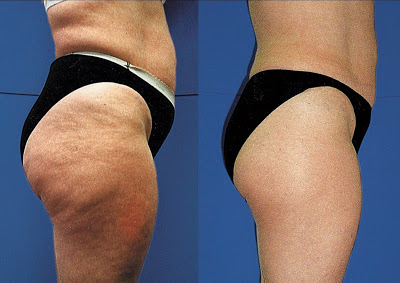 I will add to all the good advice some additional support both psychologically and physiologically.First, the specialized slimming creams in abdominal curves and, on the other hand, food supplements anti-bloating or post menopause. > Indulge. Do not expect a miracle but these products once pleasant inch to implement all previous recommendations.